Morgan Stanley plans to invest in Bandra Kurla Complex, in Mumbai where the firm will develop around 1.6 million sq. ft. of office space. If this deal takes place this will be the first investment of Morgan Stanley in India in the commercial sector. 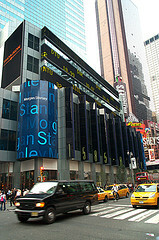 Morgan Stanley Real Estate Investing is pondering over the firm’s plans to develop 1.6 million sq. ft. of office space in Bandra Kurla Complex in Mumbai. Mumbai- based real estate firm, Wadhwa Group, initiated construction of the project under which two more commercial towers will be developed by the end of next year. Though the deal is only in its initial stages now, it would be the first investment by Morgan Stanley investors in the commercial sector of India. Earlier the firm had invested $850 million in India for developing a real estate project. However the project was basically a housing project. And so it would be the first time the American firm will be investing in a commercial project. Morgan Stanley will; for the first time, invest in a commercial project in India. According to a Reuters’ December 2011 report around $100 million to $125 million had been diverted to Sheth Developers- a Mumbai-centered real estate firm. Right now both Wadhwa Group and Morgan Stanley are unwilling to comment on the topic. Recent reports show that the private equity investors are not keen on investing on real estate market of India. Their investment size has fallen sharply. In 2012 only $1.95 billion was invested in India while the size of investment in 2007 was $9.8 billion, reported Venture Intelligence a research firm. As long as the firms remain silent on the issue, any accurate details; including the financial details, will remain unavailable. 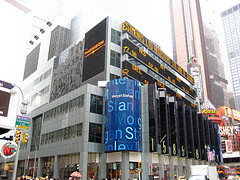 While Morgan Stanley’s earning per share declined by 103.32%, in the current year, their shares witnessed an improvement in the current quarter. Morgan Stanley has 1.98 billion unsettled shares and only 1.55 billion shares have been drifted in the market exchange. This entry was posted in Real Estate News and tagged Bandra-Kurla Complex, Morgan Stanley, Mumbai, Mumbai Real Estate, real estate investment by designer. Bookmark the permalink.